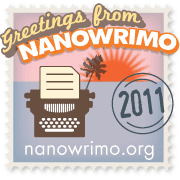 Freshman at NaNo Academy by Kenon Thompson | WriMos FTW! Here I am. 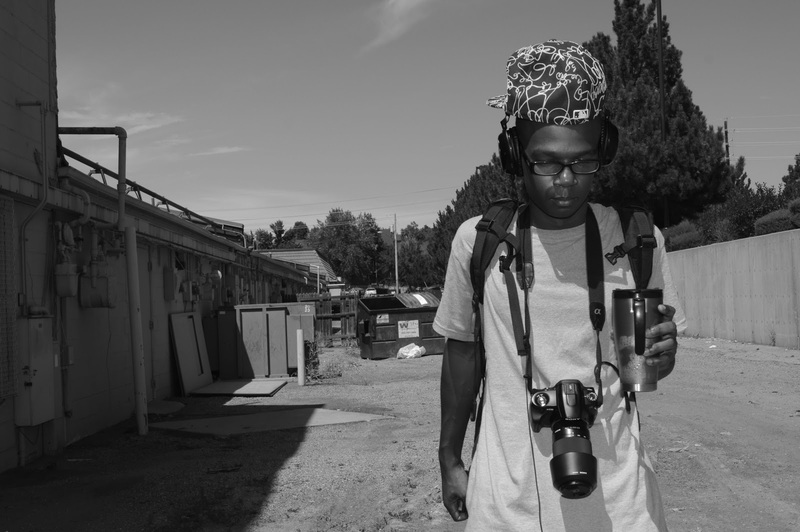 A full time college senior, with a full time job in a restaurant, who owns his own business, preparing for a graduate school interview, and is in some way a part of at least 5 or more clubs on campus. Now I dare add to this hectic day to day schedule, to write a 50,000 word novel in one month. For me it's normal. Writing and I have been in love since I was a 1st grader who decided that writing in cursive made me seem older than I was. I must admit though, I am pretty nervous about the moment when November 1st will be on the lower right hand of my computer screen. So what are my goals for NaNo? 1) Go above the average word count per day in order to assure I hit 50,000 words on 30 days. · 50,000 words total / 30 days = 1,666.66666666 words. Okay so it's obvious that everything after 1,666 words is irrelevant... Unless I just consider the .66 etc., as a word not yet complete... For example, "and in the best of times the compl... (full word being complete)" counts for .66 etc of a word. 2) Create characters that are similar to my life, without actually telling my real life story. · Here is the part that keeps me up at night during my outlining sessions. I am currently working on my autobiography and although this may not be released for quite some time, what if my novel is pretty amazing and in the near future actually gets published? My life is pretty amazing at this point, and I want my main character to have similar qualities of me, yet have his own identity. 3) Shoot original photos for the book. · Okay, I understand this isn't a kids 5+ book project. Would you believe that I am a photographer as well? Well, it's true! I am a photographer! And instead of closing your eyes to vision what the characters and the various scenes look like in your head, I want you to actually see photos of the scene in the book. 4) Keep a log of how much coffee I actually drink for the whole month. · I admit, this is just an extra haha something I can look back at and laugh. I usually drink 8 cups of coffee a day on average. I genuinely love coffee! I don't drink to stay up all night. But it definitely is a great buddy to have on my side at 3:00 in the morning. 5) Try not to go insane! · Have you read the first paragraph of this post? 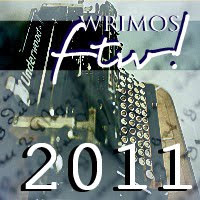 I must add here that I am a freshman to NaNoWriMo! I've read about stories on the NaNoWriMo forums. I believe that writers have a completely different mindset when it pertains to "what’s right." Ever have that moment when you were writing story only to look 50+ pages into writing it and that inner critic says "hey, do you really think this can continue on "right" for the next 150+ pages?" “Insanity likes company” indeed. I'm excited to write a great novel as well as make some new friends throughout this project! What are YOUR goals for this year’s NaNo? Are you a freshman too or a senior? This'll be my 7th year - you get a bit addicted :p Good luck! The photo idea also stood out to me too. I am a photographer also,and I was thinking about how cool it would be to depict scenes from my upcoming novel. Knowing that a few others are planning this may encourage me to take up the idea more. I'm a sophomore. :) And my biggest goal this year is to not just reach 50k words, but to actually finish my book. So instead of aiming for just a certain word count every day, I'm going to try and write a chapter a day. And I have to add that I love the photo idea too! I'm a very visual person, so photos and illustrations appeal to me - whether I'm reading or writing. 1. My biggest goal is to finish the story. I'm not worried about reaching 50k, I've got confidence in that. The past few years, routine has been 2,500 minimum words a day during the week and 5,000 minimum words on weekends (thus completing 50k by mid-month or so, give a few days for lack of inspiration). I just want to have an actual finished story. This hasn't happened since 2007. 2. -- Nookbook publishing. I used to work at B&N. I want to make this into a Nookbook so my former coworkers can read it (they promised they would). I like your photography idea, though. :) Good luck with that! As for my level, I guess I'm community college. This is my 6th year. That's a great goal! In fact, I have the same one this year. I'm so tired of winning NaNo and coming so close to the end chapter, but no more! And I've tried this chapter-a-day approach and loved it. 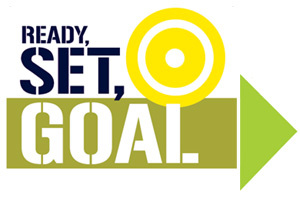 Here's to making our goals reality this November! I'd like to hit the 50k mark this time (my second). Finishing the first draft would be a bonus. I am a senior! My first NaNo was in 2007, so maybe I'm a super senior? I would hesitate to call myself a grad student, necessarily. Really, you're guaranteed to gain some insanity points doing NaNoWriMo, but if you don't struggle too hard against that, it'll all work out better. It's very freeing, really, when you're desperate and you need words and WILL NOT CHEAT. It tends to give a genuine edge to the story. Currently, I'm a diet cola fiend, but I've thought about taking up coffee. I like how coffee smells, but not the bitterness. So we'll see how that goes. I'll be interested to see that coffee log. Mine will be Coca Cola! 69000 words by Thanksgiving. That is 2654 words a day. A first draft in whole. That my children, pets, garden, and living things around me survive. A grad student fits your grade status. I would like to get some photos of friends and random people to help me out. That is so true... I'm planning to have at least one writer's block day. That is when I will resort to really telling the story through the photos. If I may recommend, Vietnamese coffee is amazing! You can also use some specialty syrups (I highly suggest Starbucks brand) to a respectful degree dilute the bitterness, yet still keeping the essence and flavor of the coffee. I look forward to seeing how it goes for you. Thank you! I haven't seen/read too many books with photos in them now and days. I want to elevate the use of photos from the way it is seen in kids books, to actually being a visual for the adult readers. That is a pretty great goal. I am still debating myself shall I aim for word count per day or by chapter(s) like you have stated. Thank you. Is there anyway I could see what you have done last year? I plan on studying Journalism for my Masters Degree (Arts and Culture Concentration) and I believe this will expand my creativity in story telling using photography in my novel. I am envious of your confidence! I have so much going on (my business. school, work and personal life) I will literally create a schedule just for writing my novel with the addition of writing anywhere and anywhere I can just don't let my professors know that I am writing while they are lecturing haha)!